Black Sabbath bassist Geezer Butler has been arrested in California after a bar fight, police said. Officers were called to the Corkscrew Saloon on the Furnace Creek Ranch in Death Valley National Park shortly after midnight on January 27. Inyo County Sheriff’s Office said Terence Michael Joseph “Geezer” Butler, 65, was arrested for misdemeanor assault, public intoxication and vandalism. 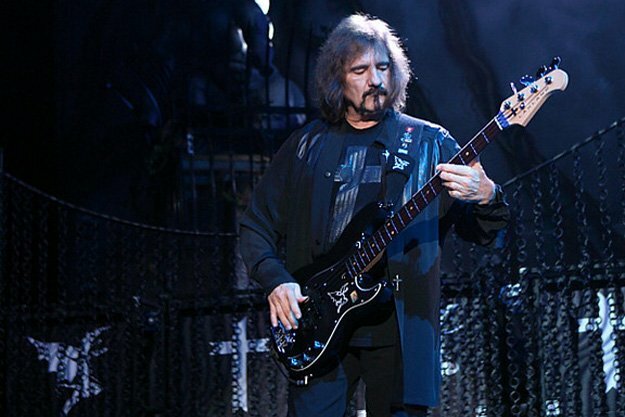 Geezer Butler was released after “detox and citation”, police said. The Californian police department said an argument escalated into “a physical confrontation”, resulting in an individual being struck and a window being broken. Police gave Geezer Butler’s address as Beverly Hills, California. Three original members of Black Sabbath, including Ozzy Osbourne, reformed in 2012 to headline the Download Festival.